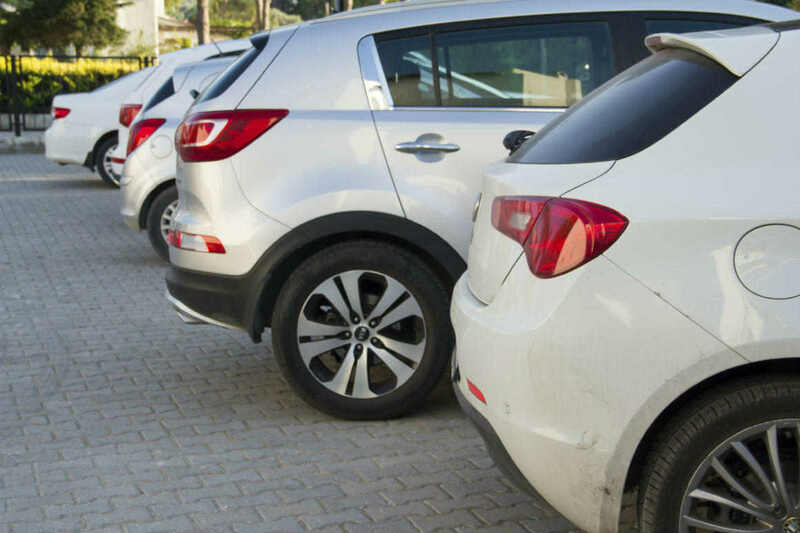 An estimated 20% of all car accidents take place in commercial parking lots. Surprisingly, more accidents happen in parking garages and parking lots than in highways and main roads. When driving in a parking lot, even the most careful and defensive driver may divert his attention from driving to other issues, such as looking for a suitable parking place or being in a hurry to get into the shop. Moreover, many drivers often fail to notice a pedestrian or another approaching car, while backing out of a parking spot. Fortunately, the damages caused by accidents in parking lots are usually less severe, because the cars involved are usually moving at a low speed. However, if the car hits a pedestrian, severe injuries may occur. For instance, a pedestrian may get pinned between two cars in a parking lot. This may result in severe injuries, such as broken legs. Call emergency medical service, if one or more people are injured. Take photographs of the accident location and its surrounding areas. You can use your mobile phone’s camera and even make a video recording. Be sure to write down the contact details of all parties involved in the accident. Ideally, you should collect the names, addresses, contact numbers of the parties and details about their insurance providers. Also, keep contact details of all eyewitnesses. Note the time, date, and location of the accident and other details, including weather conditions and condition of the parking space. It is always a good idea to inform the local law enforcement agency about the accident. In most cases, a police report works as an important document to prove that you were involved in the accident. A police officer may also help handle the situation and do all the necessary tests to check whether the driver was driving under the influence of alcohol. It is also important to report to your insurance company as early as possible. Your insurance provider may want to inspect the accident location to get an idea about the extent of damages and injuries caused by the accident. To speak with an experienced trial lawyer about your parking lot or pedestrian accident, call (314) 361-4242 or fill out our online contact form. We offer free consultations in all personal injury cases and you never pay attorney fees unless we recover compensation for you.